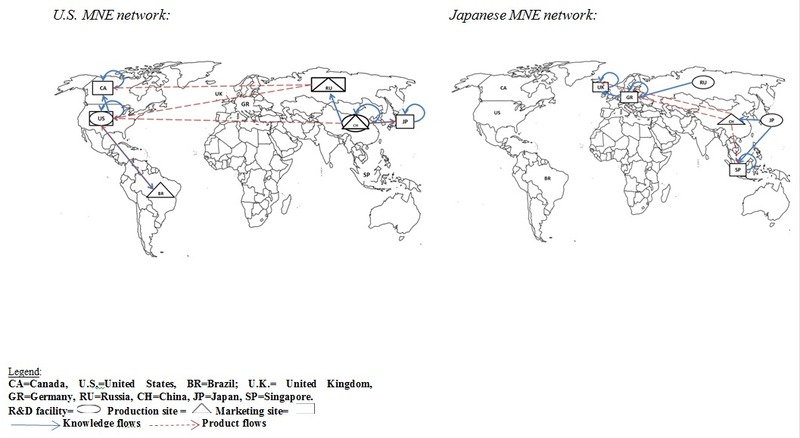 The field of international business has long adopted the view that multinational enterprises (MNEs) may be represented as networks of activities connected via knowledge and product flows. The major determinants of efficient location choices are considered to be proximity to markets, resources and suppliers. There are two standard approaches to modelling MNEs’ location choices. The first attempts to minimize total costs, which implies that the firm is a price-taker, i.e., a company charges the prevailing prices in a market with little to no differentiation, so revenues are fixed, leaving only the possibility to reduce costs in order to maximize profits.” This view ignores competition as an additional important determinant in price setting in a differentiated market. The second approach takes competition into account, yet assumes that the locations of competitors are fixed, such that MNEs choose to co-locate or separate from their competitors’ network. The downside of the latter approach is that it ignores the strategic interaction between MNEs that respond to the location choices of their competitors. In recent research, we cross the international business viewpoint of the MNE with location-optimization models used in operations research, McFadden’s discrete choice consumer approach and Nash’s game theory gestalt in the search for equilibria outcomes in global markets. We develop a game which incorporates both rivalry and strategic interaction as a means to endogenize the prices and costs of competing MNEs. The model captures the reactions of competing MNEs while maximizing profits. An important feature of our model is the inclusion of consumer preferences, in terms of willingness to pay for products or services. A consumer’s decision to purchase from a specific MNE is often a function of perceived quality and not simply a reaction to price. More specifically, preferences for locally supplied customer support and/or production in a seemingly technologically advanced location are both likely to impact consumers’ willingness to pay. Consequently, when modelling the location choices of competing MNEs, one ought to also consider consumer preferences because they reflect potential additional revenues that may outweigh any supplementary fixed or variable costs. The impact of the approach taken is demonstrated through a series of computational experiments. These experiments show that the location decisions of competing MNEs striving to fulfill consumer preferences substantially differ from those taken when competitors’ locations are ignored or assumed to be set exogenously. Despite the fact that we do not explicitly model region-specific attributes or differences, such as cultural and institutional distance, regional liabilities of foreignness or regional integration patterns, our computational experiments reveal two dominant location configurations. In one configuration, MNEs concentrate their operations in specific regions, and in the other, globally dispersed MNEs possess a regional organizational structure. 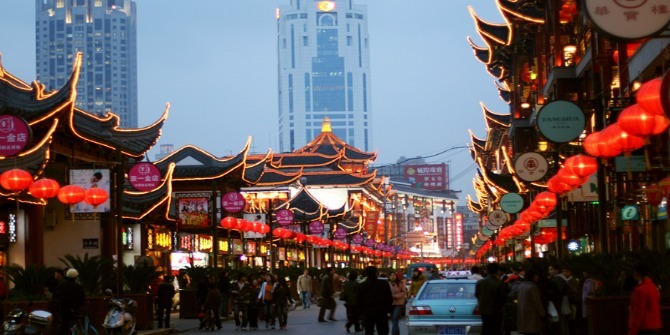 In both cases, it is evident that the regional focus tendency is much more prevalent for R&D and marketing activities than for production activities. This is demonstrated in the Figure which highlights a potential duopoly equilibria outcome between US and Japanese MNEs. A key insight of our research is that the knowledge flow costs resulting from the coordination of dispersed activities, coupled with MNEs’ preference to avoid direct competition, increases the tendency of MNEs to choose regionally focused location configurations. It is further evident that geographic distance by itself can be a dominant determinant of regionally focused MNEs, where interregional differences in terms of culture, institutions and integration patterns intensify regional focus, but are not necessary conditions for the phenomenon to occur as the literature implies. Finally, and importantly, by specifically modelling the location of value-chain activities, such as R&D, production and marketing, we are able to show which of these functions is more likely to become regionally focused, as well as identify the two types of dominant location configurations (MNEs that concentrate their operations in specific regions and globally dispersed MNEs that possess regional organizational structures). These insights could not be gained without the specific modelling of value chain activities rather than a firm level approach. In summation, by marrying insights from the international strategy, industrial organization, and operations research fields, the general framework ought to enable managers and researchers to empirically evaluate various complex, and sometimes contradictory, predictions regarding global competitive outcomes and location decisions. The major premises of this research are that: (1) it would be erroneous to treat competitors’ current locations as given and fixed in the long term, hence the MNE’s objective function should be formulated in the form of a best response function; (2) consumer utility functions often include quality parameters that are determined by MNEs’ location choices and impact the consumers’ willingness-to-pay; and (3) the combination of models within a single formulation enables the decision maker to analyze individual firm choices and the overall market equilbria outcome simultaneously. This post is based on the authors’ paper The Impact of Competition and Consumer Preferences on the Location Choices of Multinational Enterprises, Global Strategy Journal, 5 (4), 278-302, 2015. Nicole Adler is an Associate Professor in the Department of Operations Research and Operations Management (OR/OM) at Hebrew University’s School of Business Administration. Her OR roots started with a masters degree at LSE where she learned much from Professors Jonathan Rosenhead and Susan Powell, among others. Her major research interests include applied game theory to model competition, multi-criteria productivity analysis to measure efficiency and transportation including aviation and high speed rail. Dr. Adler is currently participating in Horizon2020 financed consortiums investigating the economics of change in the Air Traffic Management sector and the application of Big Data to better understand consumers. She has undertaken research financed by the European Union, the Israel Science Foundation and multiple government ministries. Niron Hashai is an Associate Professor and the Albertson-Waltuch Chair in Business Administration in the School of Business Administration at the Hebrew University of Jerusalem, Israel. He currently serves as the Academic Director of the Asper Center for Entrepreneurship and Innovation, the Academic Director of the Executive MBA and the Head of the Strategy and Entrepreneurship Area at the school. Dr. Hashai also teaches at New York University and is a research fellow at the John H. Dunning Research Centre, University of Reading. His research interests include: theory of the multinational corporation, technological innovation and internationalization, and growth patterns of small high technology firms.